Park at the end of Old Mill Road, behind St. Andrews church. We’ll stroll along the multi-use trail next to Fresh Kills, below the hills of LaTourette Golf Course and return along the Blue Trail. From the remains of colonial structures to the Hessian Spring and the remains of Ketchum’s Mill we will take a look into the influence of man and nature on the ecosystems bordering the Fresh Kills estuary. For more information call Clay Wollney at (718) 869-6327. A public program featuring a narrated site tour of the SI family owned harborside Flagship Brewery, interpretive demos on their folklife inspired branding process and oysterfest, and a tasting and unveiling of the Working Waterfront brew made especially for this initiative. As part of NYC Honey Week, Urby is proud to present our Bee Gala. Hosted by Resident Beekeeper, Asher Landes. Drinks, Honey themed food, Dancing, Local honey tastings, and Wine tasting with Lorie Honor of Honor Wines! The event will also feature Flagship Brewery beers and an installation by Staten Island Maker Space! The Project Hospitality Winter Gala will be held on Thursday, 28th of January, 2016. The event begins at 6:00 pm and will be held at Nicotra’s Hilton Garden Inn located at 1100 South Avenue in Staten Island. For more information call or email Josh Keller: (718) 448-1644, ext. 113. Project Hospitality is an interfaith effort, committed to serving the needs of hungry and homeless people. They serve people with special needs — people living with HIV and AIDS, people using substances, people living with mental illness — with an array of on-site professional services. Offering a comprehensive continuum of compassionate care that begins with street outreach, shelter, and soup kitchen and food pantry, and extends to treatment, other clinical and support services, and transitional and permanent supportive housing. Staten Island’s 100-year-old Borough Hall is the seat of government for the Borough. Featuring beautiful French Renaissance design elements and a high clock tower, it is one of the most recognizable landmarks on Staten Island. The grand marble lobby contains a series of Depression Era bas-reliefs and murals which allow visitors to take a walk through history. 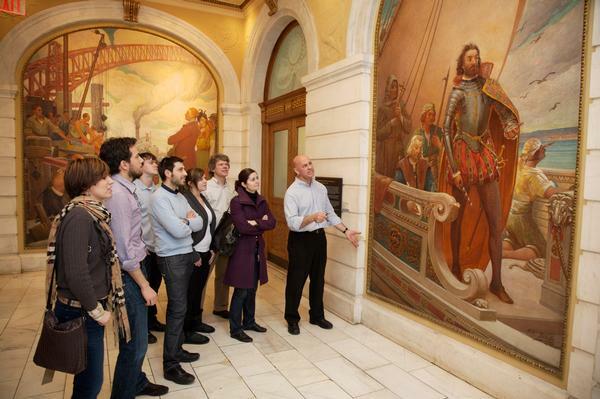 The 13 murals are 6 ½ by 13-foot oil-on-canvas masterpieces and depict significant moments in Staten Island’s past. They are the first comprehensive series of paintings to decorate a public building on Staten Island, and the murals are the largest and most accessible WPA collection in New York City. Sunday, January 17th and every third Sunday afternoon of the month, the Noble Maritime Museum opens its doors to musicians and music lovers of all ages for a monthy sea shantey sing-a-long. 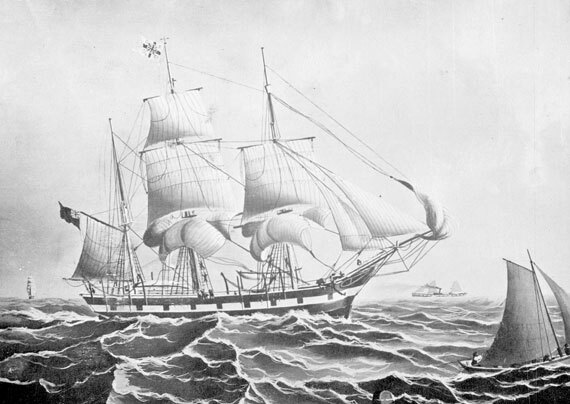 Formerly held at the Seamens Church Institute in Lower Manhattan, the sessions at the site where music historian William Doerflinger collected many of the world’s most beloved songs of the sea from the seamen who lived here during the early 1900’s. 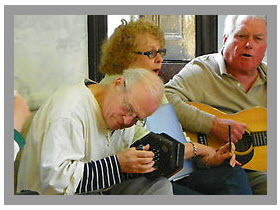 The event is co-sponsored by the Folk Music Society of New York. Refreshments are available, including beer and wine for sale. Free, but donations are appreciated. All ages welcome. The sing-in is held at the Noble Gallery, Building D, Snug Harbor Cultural Center, 1000 Richmond Terrace, Staten Island, NY. Snug Harbor is accessible by the S40 bus from the Staten Island Ferry Terminal and by car.